With autumn here and winter around the corner, now is the time to make an assessment of your cold-weather gear. Weight, insulating power, and bulk have come a long way since Land's End goose down parkas were the only game in town. Google 'puffy down jacket' and you'll get around 12 million hits from the top suppliers - Eddie Bauer, Patagonia and The North Face – all included. With such a highly competitive market, narrowing it down to a short list can be a daunting task. 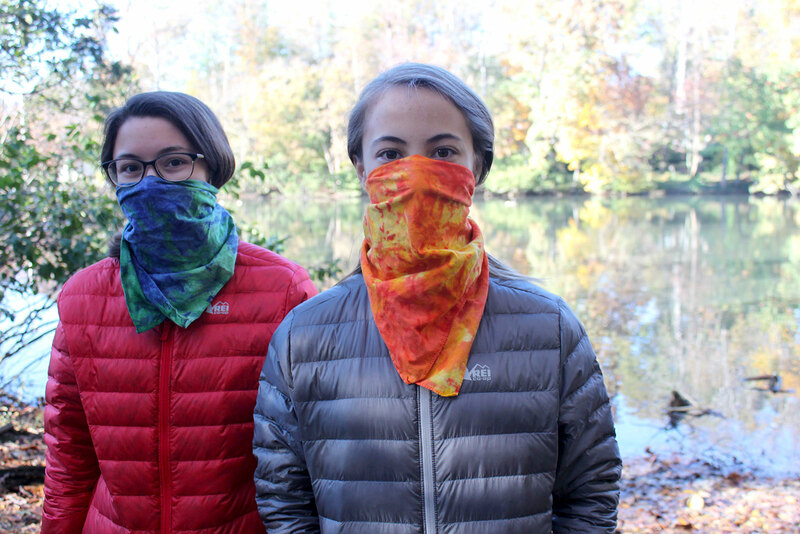 No surprise that REI is well-represented in this market; their branded outerwear offerings are always worth a look for a number of reasons. They are masters of pricing just below the high-end of the market and the product specs closely match those of their higher priced competitors. Getting its name from its 'fill-power' or 'loft' (the number of cubic inches one ounce of down will fill under specific conditions), the REI 650 Down jacket weighs 8.14 oz (youth L 14-16) and 8.92 oz (youth XL 18). The REI 650 Down has a buttery nylon outer shell which feels great against your neck and chin, BUT it's a feature that could prove to be its weakest link. Although their published specs state a durable poly construction, the outer shell feels delicate to the touch. That being said, the finish would likely suffice for the majority of activities of an average day-hiker and car-camper, but don't go charging through brambles or rock climbing in it. Regarding warmth. Our test conditions in the Blue Ridge Mountains stretched over two days, with the mercury dipping as low as 35 degrees overnight with relatively low humidity. The testers used the REI 650 Down jacket as part of a layered system during camp hours and on the trail. 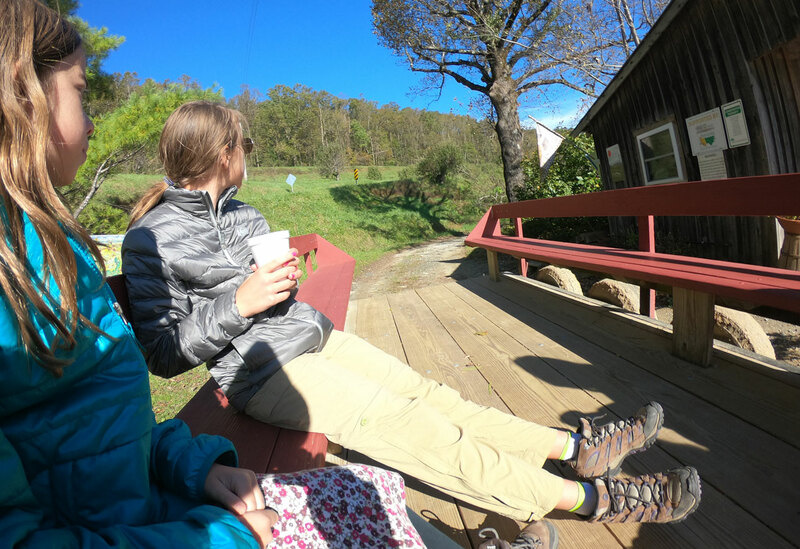 One of the testers, typically cold-sensitive, was looking to extend her camping season, so test conditions in the mid-30's seemed like a good step in that direction. 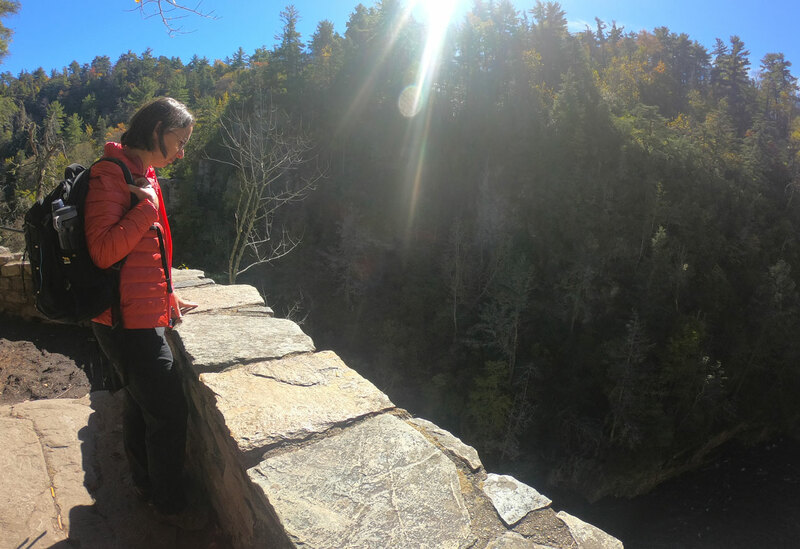 Pleasantly surprised with the 650 Down jacket's ability to retain warmth, she felt it would have kept her comfortable into the low 30's. Responsibly sourced down. Read about down harvesting, and you'll think twice about purchasing any down-filled item not responsibly sourced. Let's just say it ain't pretty and leave it to you to look into the horrid details. 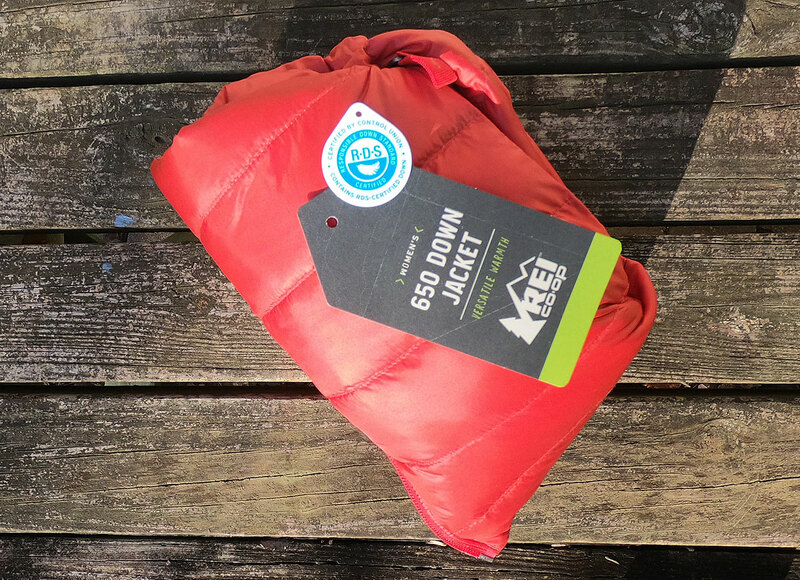 All of the 650 Down jackets produced by REI are Responsible Down Standard (RDS) Certified. The certification ensures down was harvested under humane conditions. Cost, insulating power, and packability (warmth-to-weight ratio)- three reasons to love this jacket. The REI 650 Down is remarkably thin, making it a perfect mid-layer addition to your kit. After you get warmed up on the trail and start shedding layers, you'll really appreciate how little room this takes in your day-pack. If we had to change one thing about the REI 650 Down, it would be to upgrade the outer material to a more durable one. I'd be willing to bet the value-minded consumer would be willing to pay another Hamilton for a more robust solution to the outer shell. The REI 650 Down jacket may lack many of the features of its higher-end competitors – extra pockets, adjustable cuffs, drawstring waist – but if you are looking for a insulating powerhouse, responsibly sourced at a decent price then you'd be hard pressed to beat it. It wouldn't make anyone's short list of back-country performance wear, but that's not the target market. As comfortable around town as it is around camp, the REI 650 Down jacket is a great mid-layer addition to your camping kit that won't put a big dent in your wallet.